The new SCARM version 0.9.25 is ready! Download it form www.scarm.info. Remember, that SCARM is still in beta stage of development and sometimes may not work as expected. Always create archives of your layouts and save changes in a given track plan with incremental files (just in case) named like “plan_1.scarm”, “plan_2.scarm”, and so on. Please report any bugs and/or unexpected error messages with a short explanation how, when and where in the program they occurs in the comments area below. Some of the more important added/improved features and updates are listed below. This release also improves roads laying and shaping, fixes some errors that may appear when working with complex roadways and adds several new libraries, including one slot car library and one symbol library for drawing and printing of control panels. If you like SCARM, share the info about it with your friends in the social network sites or post a link to www.scarm.info in your blog or your favorite railroad forum, so more and more model train enthusiasts and fans to know about it and to use it for free. This entry was posted in General and tagged 0.9.25, new, release, update, version by Milen Peev - Author of SCARM. Bookmark the permalink. Great! Thanks for adding the cylinder shapes. This makes it a lot easier to make these, although I had figured out how to make the vertical and horizontal ones about 1.5 years ago, but they were not easy. Are older SCARM layout files compatible with this newer revision? Yes, the old project files are fully compatible with the new version of SCARM. Thanks for continuing to update. Love Scarm more and more all the time. other troubles as soon as you have started Scarm. After drawing with rectangle option I got the problem that the arrow keys don’t work anymore, ie you can’t walk through your railplan anymore. Not with arrow keys only, not in combination with shift or ctrl. Also loading the project again doesn’t fix the problem, you have to restart Scarm in order to get it working again. Tried it with several projects, same behavior in order to rule out errors in one plan. Color codes are given in hex notation in the track color button. Click it and you get a dropdown menu with colors, setting the mouse pointer on one color and you get a small window next to the chosen color with the hex notation of that color. However when you have drawn a rectangle as an example and you want to fill it with the same color as a track element you have to deal with decimal notation. Stupid as windows is you can’t switch. So may you can make it an option, colors in hex or in decimal notation. 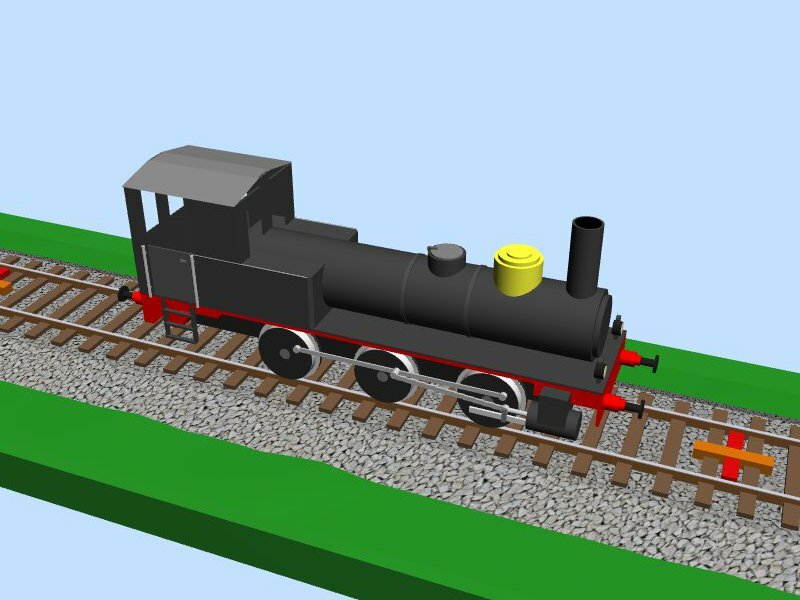 Again rail elements won’t connect, don’t snap together as soon as the height is different. When you have track heights without decimals then the track will snap to the other. However if those two do have a decimal the don’t snap together, even if both have the same value. Bringing both ends back to height without a decimal notation they snap direct. So far what I got with latest version. Rectangle function and the arrow keys are working normally for me. Please, describe in steps what to do in order to reproduce the problem. About hex color codes – just select the desired color in the color matrix and then click on “More colors” button at bottom – it will open the Windows color dialog with the selected color and you will be able to see the integer RGB values inside. I will consider adding these to the hints in some of the next versions of SCARM. Tracks with different heights should be connected manually in order to form correct slopes. Use the Numeric Heights Input feature for fast and precise setting of the heights of both track ends. You missed the message. Its an alteration in an existing plan. When both ends are without decimal notation and same figures the track ends will snap together. When both track ends do have decimal notation and figures are the same both ends won’t snap together. You have to do insane things to get that working. You have to go back to notation without decimal figures, than tracks join, and after that have to re-adjust heights, but sometimes in a complicated plan this is a very difficult task. For me clearly a bug somewhere. I will notate steps in the case of losing arrow keys, you get an update some day. Color, got it, thanks. OK, now I understand what you are meaning with the different heights – I will try to fix that in some of the next versions of SCARM. When you have a big helix with many loops you face the problem that its difficult to get at a certain loop. For me I think I have a loop too much, so the resulting space between two loops is to narrow for passing a train. I can figure this out with 3d which doesn’t show right to me. But again, which loop to remove. Being busy now for more than one year the rail plan is far from simple and its difficult to edit. Things which could help is of course that the program knows the minimal height you need for passing by a train. If case of a problem the program warns in some way. But it could also help if you can drag the heights out of the center of the rail to next to the rail. So overlapping rail segments don’t cover information.